Apparently when I decide to learn about something I take it on through full immersion. I started out asking for book recommendations about medicinal herbs and bought 2: Homegrown Herbs and The Herbal Medicine-Maker's Handbook. Then I found out about a sale in the brand new Farthing Collective store and bought 2 Raleigh Briggs titles (Make Your Place and Herbal First Aid). All the while I'd forgotten I'd pre-ordered Easy Growing. Fortunately each of these books fills in where others leave gaps. And for anyone wondering? 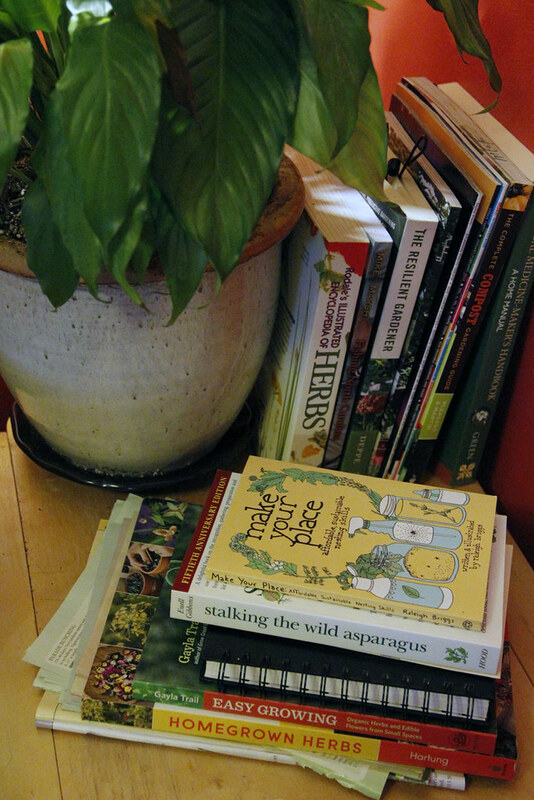 Rodale's Encyclopedia, while the thickest book in my herbal library and brimming with information, is the last one I pick up when looking for information. 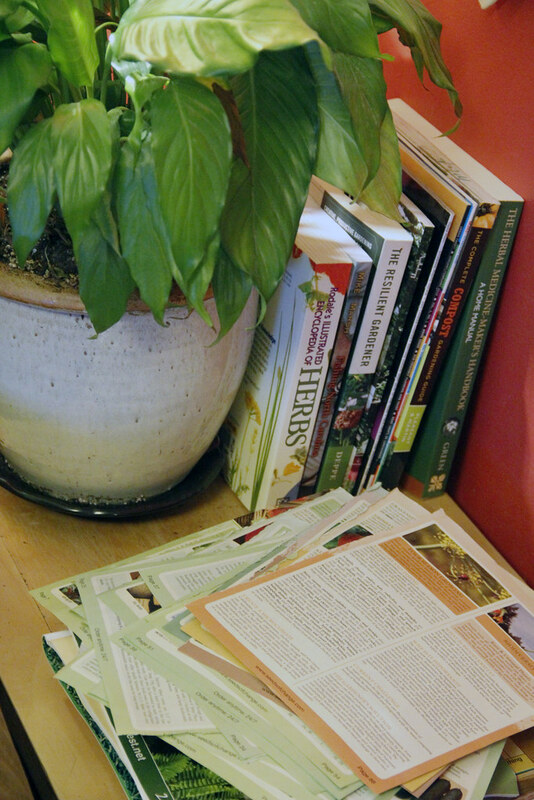 Since I'm finally starting to keep an actual garden journal (outside this here blog), I've also found it handy to rip out pages of seed catalogs, since those descriptions are what enticed me to try out those particular plants. Maybe this will be the year I remember exactly why I was so excited about starting anise hyssop, shiso and knit bone. What have you got sprouting in your garden plans?